A beautifully painted living room is the best canvas to create a gorgeous looking living room. At Fillo Painting, we provide end-to-end services for painting all the rooms in your home, including the living room. Visit us to know what color schemes can enhance your living space. Your living room is the most important space in your home, where you spend time entertaining family and friends. A beautiful living room creates a welcoming ambiance for your friends and family and most importantly helps you relax at the end of a hard day. There are several color schemes you can choose to create a living décor. Color schemes are mostly dependent on your choice, living room dimensions, your furniture, etc. Choosing the right color scheme for your living room allows you to select beautiful furniture sets and stunning home décor items that will complement the color palette of your living room. A painting company in Roswell, GA, provides professional painting services for your home. This article outlines various color schemes that will enhance the look of your living room. If you want to create a chic and contemporary style for your living room, gray must be your color of choice. Gray walls make your living room spacious and add a touch of sophistication to your living room décor. Gray walls pair very well with subtly shaded furniture sets in shades of beige, white, light brown, etc. Gray walls also provide the perfect canvas if you’d like to add a pop of color to your living room. 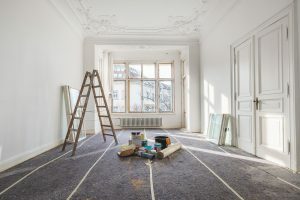 Bright colored paintings and wall artifacts go well with gray walls, also a deep colored rug in shades of navy blue and ink blue pair well with gray walls. Shades of brown are ideal if you want to create a cozy yet classy living space. 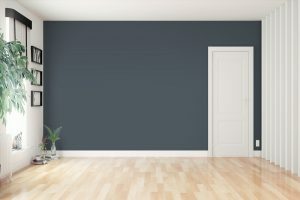 A painter in Roswell, GA, will be able to show you samples of the many shades of brown that can adorn your living room walls. Dark brown shaded walls pair well with furniture sets in colors such as white, beige, and yellow. You can add in throw pillows or rugs in animal prints or other bold geometric prints to create a striking home décor to match with brown walls. You can play around with different shades and create a contrast of dark and light brown walls to spruce up your walls. Metal accented home décor items such as brass urns or pots pair beautifully with brown-hued walls. Green is a soothing shade is perfect if you want to create a tranquil ambiance in your living room. Green imparts a fresh and vibrant feel to your living room while keeping it soft and subtle at the same time. There are many shades to green to choose from and mostly white or beige furniture sets and home décor items in shades of silver, turquoise, and blue pair well with green walls. Wooden coffee tables make for great home décor additions, complementing green walls. The living room is perhaps the most significant room in your house. Finding a painting company in Roswell, GA is the first step in creating the perfect look for your living room. Contact Fillo Painting to pick out your color scheme for your new living room look.